​Rev. 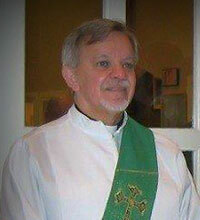 Mr. Michael K. Mobley Sr. was Ordained in the Archdiocese of Atlanta in 1995 as a Permanent Deacon. Michael has served as Director of Social Justice Ministries and Outreach Ministries at St. John the Evangelist Catholic Church for five years. Michael also served as Life Teen Director and Director of the Hapeville Christian Samaritan Group, an Ecumenical Group of Churches in South Atlanta. Michael served as Pastoral Associate at Emory University in the Catholic Center and taught at the Formation Program for Deacons for eight years and still serves on the Review Board. 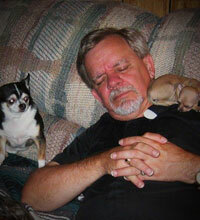 Michael currently serves as the Director of Religious Education at St. Stephen the Martyr Parish in Lilburn Georgia and has for the past seven years. Michael has worked full time for the Church in the Archdiocese of Atlanta since 1997 and is certified in Spiritual Direction. Michael also worked in the food and beverage industry for eighteen years at the retail level as a store manager and at the wholesale level as a district sales manager. Prior to that Michael worked in the construction industry and owned his own remodeling business. Michael is married now to his beautiful wife Mary for 39 years and has two children and four grandchildren. Michael went to the training session in the Archdiocese by PATH in 2003 and has worked in this ministry ever since on retreat weekends and bible study sessions where he has seen wonderful miracles and transformations take place. Michael believes this ministry lives out what Jesus truly calls each of us to when he says; I have come to proclaim liberty to captives and to let the oppressed go free, (Luke 4:18) and we on our part must go and do the same.